A tiny town just north of the Oregon border will become the first government in the nation, and perhaps the world, to own its own marijuana store. Of all the steps taken since Washington legalized marijuana, North Bonneville’s might be boldest. 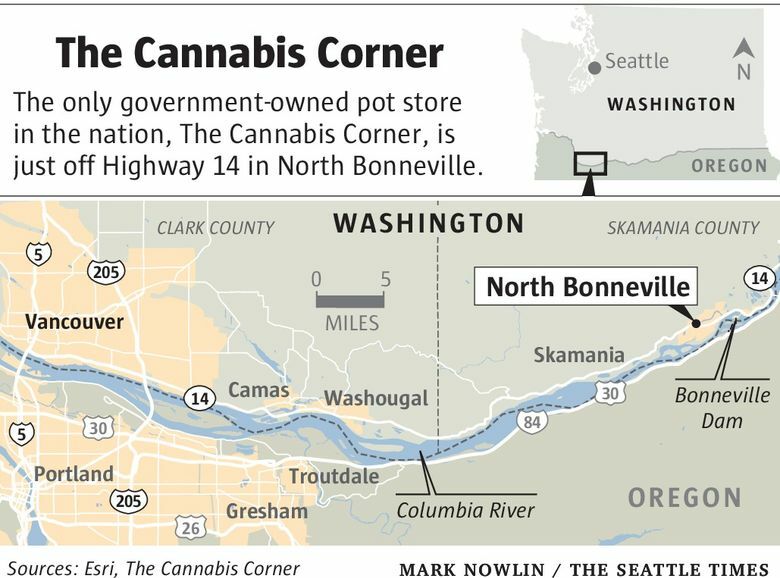 The town of about 1,000 in Skamania County, which sits on the Columbia River about 40 miles northeast of Portland, is becoming the first government in the nation, and perhaps the world, to own a recreational marijuana store. The Cannabis Corner, a renovated pole barn off Highway 14, opens Saturday. It will be the first marijuana store in the county. For North Bonneville, it’s been a long journey. The town had to create a separate government offshoot, the North Bonneville Public Development Authority (NBPDA), to operate the store. The agency’s structure is similar to Seattle’s Pike Place Market Preservation and Development Authority. The NBPDA’s five-person board had to find private investment to fund the pot shop and rearrange itself when three board members dropped out. Then, the NBPDA had to prove to the Liquor Control Board it was independent from the city and capable of managing a store. The plan appeared doomed when The Cannabis Corner’s application was denied by the Liquor Control Board, which said a nearby park was too close to the potential pot shop. Turns out, it was an RV park. After some political wrangling, the liquor board issued the town a license. Why would North Bonne­ville go to all this trouble? 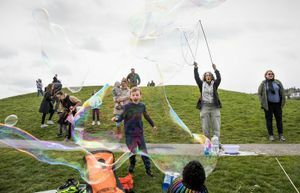 Creating a public-development authority “allows the city to do something a little more entrepreneurial,” said Jay Reich, an attorney at Pacifica Law Group who often works on public/private partnerships. It could be lucrative for the town. If visitors flock to The Cannabis Corner, the board will funnel profits into the community through grants, Dudley said. Because The Cannabis Corner is operated by a government, it will have a distinct advantage: It won’t pay federal tax. “Our costs are lower and our ability to provide cannabis at a lower cost is there,” said John Spencer, a management consultant on the project. If the operation fails, North Bonneville City Attorney Ken Woodrich said, the City Council can choose to dissolve the NBPDA and end the experiment. Woodrich said the city is not directly liable for the pot business and doesn’t have oversight of the business. The workers at The Cannabis Corner won’t be city employees. Dudley said private investment also shields North Bonneville from risk. “If this venture doesn’t work, taxpayers of the city aren’t out a dime,” said Dudley. He said building out the store, supplying it and paying initial wages cost about $280,000, paid entirely with private investment money. Foes of the store say the risks are not simply financial. “Our fear is that (marijuana) gets into the hands of kids,” said Susie Strom, a drug- and alcohol prevention coordinator in Skamania County. He said he’d been following legalization in Colorado and didn’t see any benefits. “Hospital intake, possession in schools, DUIs — all up,” said Brown, who is eager to see Washington data. That a public board would be running the pot shop was no consolation to Brown. Dudley said revenue will help offset potential social costs and that the NBPDA will emphasize giving grant funding to public health and safety projects. He said the board could even grant North Bonneville enough money to free funding for more patrols from the Sheriff’s Office. The NBPDA also is looking at upgrades for a playground and tennis courts at a city park. 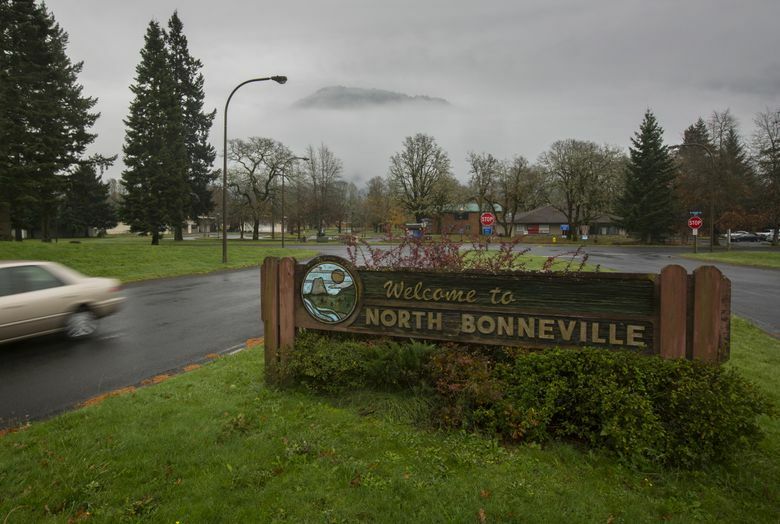 Although the voices of opposition aren’t excited about North Bonneville’s approach, they’re willing to work with the city. Strom said she recognized that voters had chosen legalization. She said she was “on good terms” with the NBPDA and would continue to bring her perspective to the board. Information in this article, originally published March 5, 2015, was corrected March 6, 2015. A previous version of this story gave an incorrect name for attorney Jay Reich’s law firm. Reich is an attorney at Pacifica Law Group.